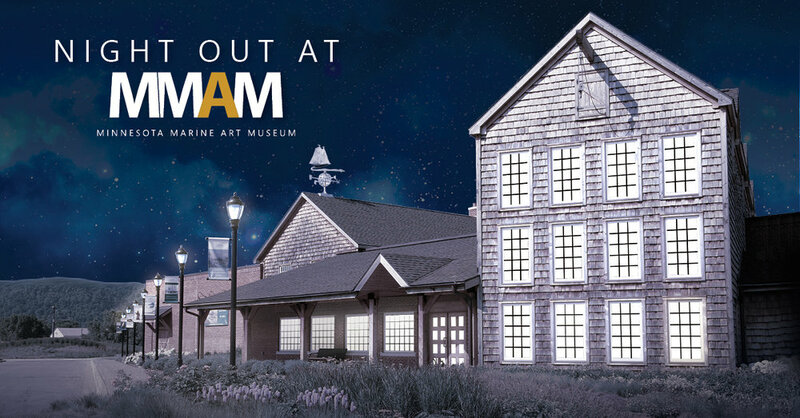 Enjoy a relaxing date night, an evening with friends, or meet new people at the Minnesota Marine Art Museum during Night Out at MMAM. Sip on drinks from the cash bar (your first drink is included in your admission), chat, enjoy the art, and join a docent led tour if you choose. Night Out at MMAM allows museum goers a relaxed social environment to experience the museum's amazing collections and exhibitions. No RSVPs required. Looking for childcare while enjoying Night Out at MMAM? Drop the kids off in the Oberton Education Room to eat pizza, play and create. RSVP required for childcare. Register by calling (507) 474-6626 by May 19.